Sugar mills in Maharashtra, which has seen a glut in production, owe Rs 593 crore to farmers, an official said today. The state government is making efforts to persuade the sugar mills to clear the dues of farmers, he said. 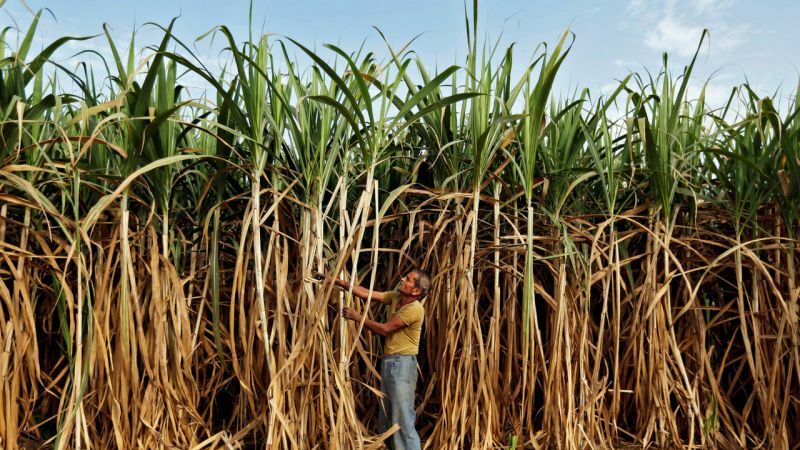 The mills paid around Rs 20,682 crore as sugarcane purchase price to farmers till July this year, but there are still arrears worth Rs 593 crore, the official in the state sugar commissioner's office said. Last year, there were arrears of only Rs two crore, he noted. State sugar commissioner Sambhaji Kadu Patil said he has been personally talking to sugar mill owners to clear the dues of farmers. Action has been taken against some mills which did not comply with the government norms for making payments, he said. "This has helped in reducing the conflict between farmers and mills and also in bringing down the arrears of Rs 850 crore as on July 18 to Rs 593 crore by July end," he said. The government had earlier notified its decision to fix the ex-factory sugar price at Rs 29 per kg as well as the monthly stock holding limit on mills as part of measures to help the cash-starved industry to clear cane arrears. No producer shall sell sugar in the domestic market at a rate below Rs 29 per kg, the notification said. If a sugar mill violates the order, it will have to face action, Kadu Patil said. He said earlier there was no fixed selling price for sugar producers and many mills used to incur losses due to volatility in the market. There was a fair and remunerative price (FRP) formula which mandates the sugar mills to make certain payment to farmers, but there was no regulation that would ensure fixed earnings to mills. With Rs 29 per kg minimum price bar, every trader will have to buy sugar at this rate from mills, Kadu Patil said. He said the Centre has also decided to increase ethanol production in sugar mills. In June this year, the Union government raised the price of ethanol produced from C-grade or final molasses. It also fixed a price for ethanol produced from intermediary or B-grade molasses, a move to help mills divert cane juice for ethanol manufacturing during surplus years. Kadu Patil said the decision will increase the production of ethanol which is blended with petrol. "Mills will also get an additional source of income because the Centre has allowed ethanol blending up to 10 per cent with petrol," he said. These steps would increase the earnings of sugar mills and help them in making full and timely payments to farmers, he added. Cane-based ethanol can be produced in three different ways directly from cane juice, from B-grade and C-grade molasses. Molasses is a viscous product obtained from raw sugar during the refining process. 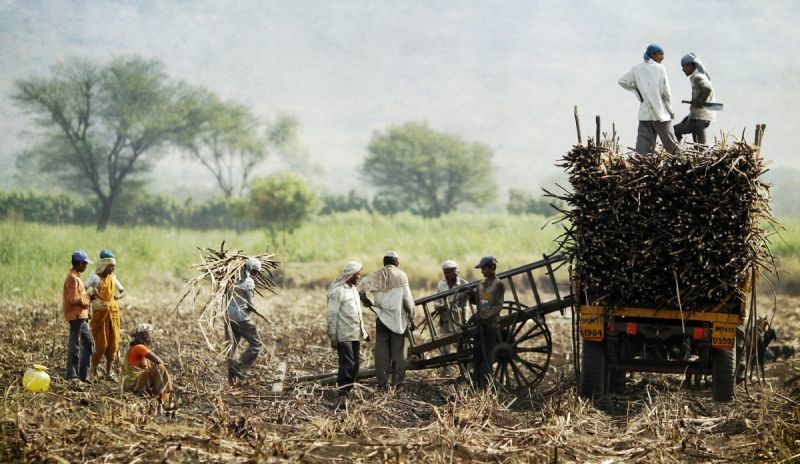 Maharashtra is one of the leading sugarcane producing states. Sugar mills in the country are incurring losses as prices have fallen below the production cost on account of record output of 31.5 million tonnes in the 2017-18 season ending September, as against the annual domestic demand of 25 million tonnes.